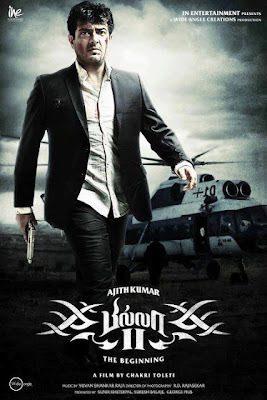 The audio of Ajith starrer Billa 2 will be released on May 1, coinciding with the birthday of the star. The producer of the film, Sunir Khetrapal has handed over the film's master audio track to the music label, Sony Music. Yuvan has scored music for Billa 2 and the album has six songs. The title track is sung by Yuvan. While sources say that Yuvan has composed energetic tunes, the movie also has a scene in which Yuvan has shook his legs. Billa2 audio will be a sure treat for Ajith's fans. Meena was one of the leading Heroines in Tollywood and Kollywood. She got married with a Bangalore-based Software Engineer called Vidyasagar on 12th July 2009 at Lord Venkateshwara Temple, Tirumala in Tirupathi, Andhra Pradesh. This couple was blessed with a daughter named Nainika on 1st January 2011 at 11.30am in Chennai. Post her Marriage, Meena was acting in few roles in some films in different languages. The 1981 movie 'Sattam Oru Iruttarai' featuring Vijayakanth and Poornima is being remade now. This was directed by S.A.Chandrashekar. Now, this remake project is produced by S.A.Chandrashekar. Vikram Prabhu is the Hero of this film and Piaa Bajpai and Karthika are his 2 Heroines. Vijay felt that Meena would be best option to be cast as the Sister for Vikram Prabhu. 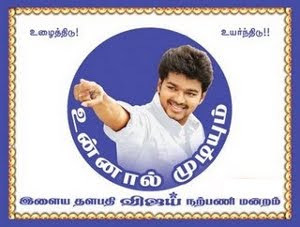 It seems, Meena would be accepting this invitation from Vijay and act in this film.